Keegan suggested that we should. Both Keegan and I have read through the book a couple of times before we, well that should be Keegan and Lily, picked our project! 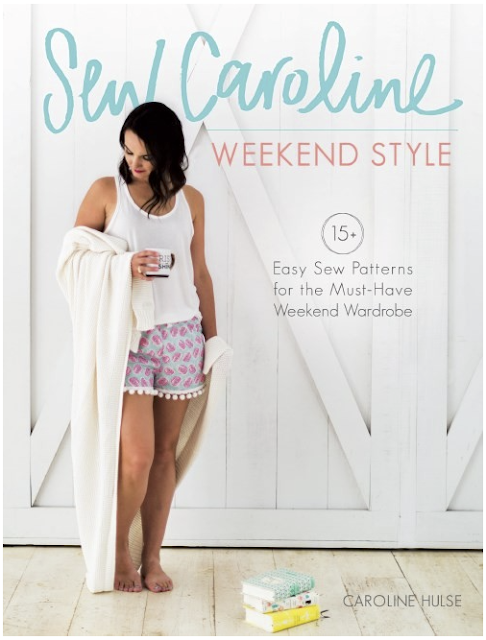 We decided to make the "Saturday Morning Shorts" as shown on the cover. The book does come with a Disk with the pattern pieces on it but there is also a link inside the book to download the pieces which is handy as my Apple Mac doesn't have a disk drive. 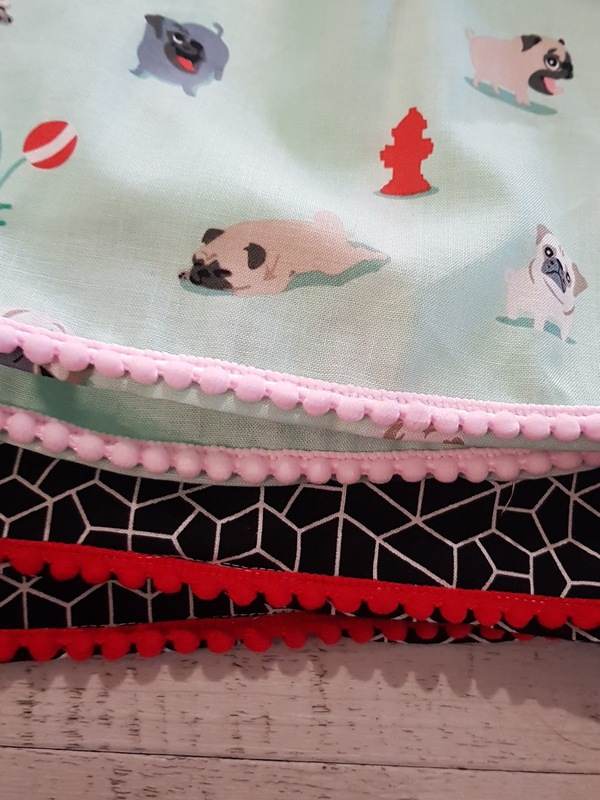 Must say that I do love that you can print off the pattern pieces as many times as you need them. 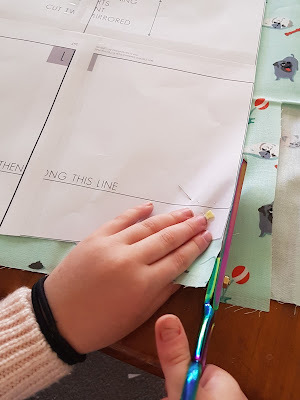 You can cut the size you need at the time and not have to worry about tracing etc. 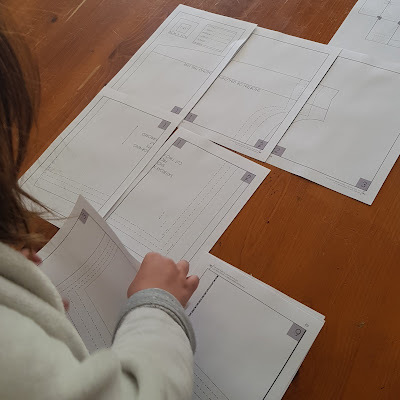 and the next time you need the pattern, print again and not worry about where you put the previous pattern pieces. Keegan set to joining our pieces and then cutting out the appropriate size. 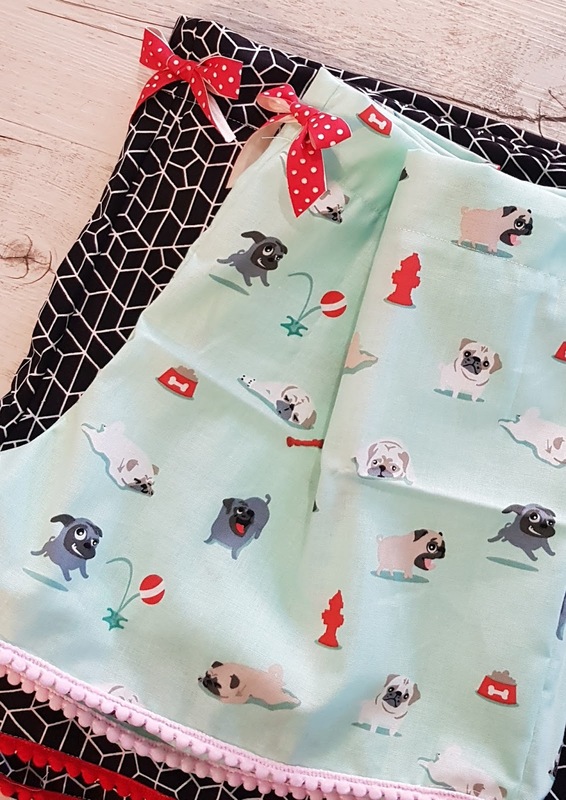 We cut Keegan's shorts out first and then went back and cut the pattern down for Lily. This was such a hands on project for the girls. 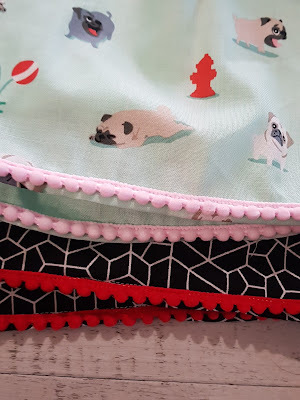 I even had Lily cutting out her own shorts, with my Tula Pink Scissors! 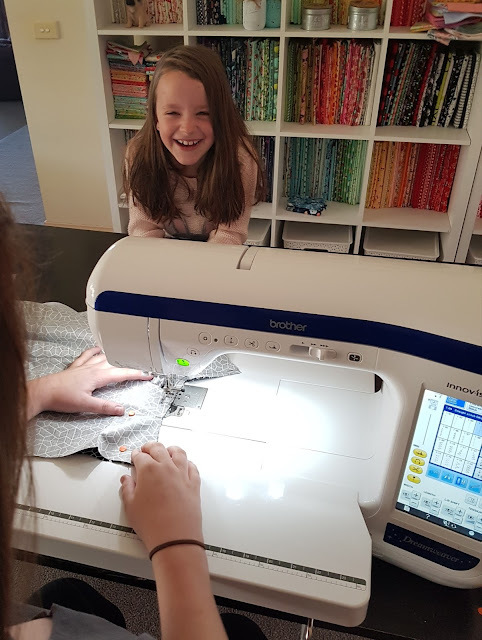 There were also lots of laughs and giggles as the girls took in turns using my sewing machine. And I am happy to report that by the end of the afternoon we had two almost completed pair of shorts. I decided to add elastic to the waists so that is my job for tomorrow. We also added a bow each pair. We all think that they came out really well which was thanks to the great beginner friendly instructions in the book. And how cute is this little pom pom detailing on the legs. 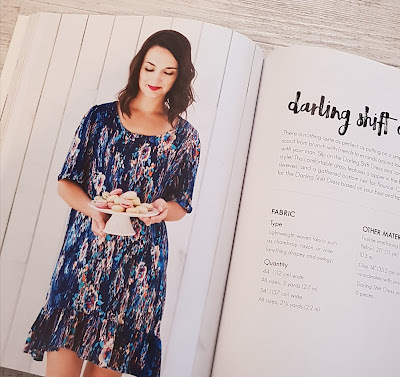 Keegan is already plotting her next make from the book, the "Darling Shift Dress". I already have the fabric requirements in a note on my phone so I have them handy for when she finds the perfect fabric. 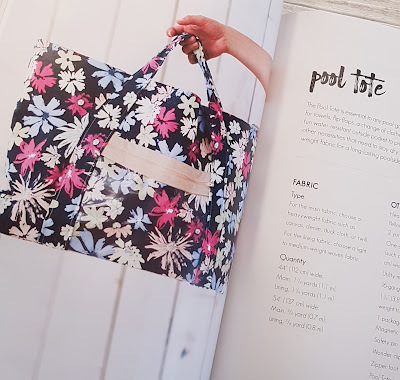 I am also eyeing off the "Pool Tote" so it's added to my must make list. 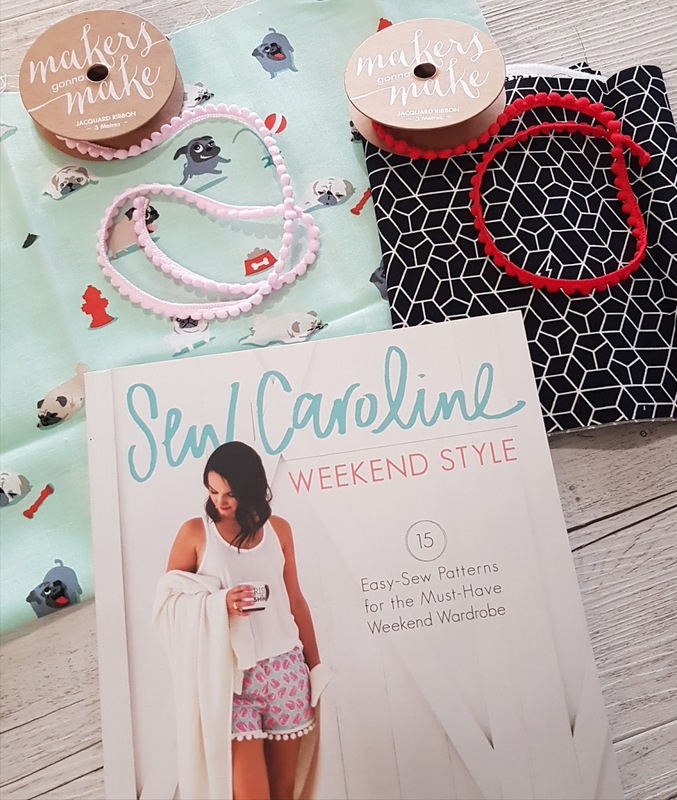 Yes this book also has a couple of bags, a headband and a great idea to personalise some 'flip-flops'. So I have to send a huge thank you to both Caroline Hulse and the team Fons and Porter for sending me a copy of this new book. 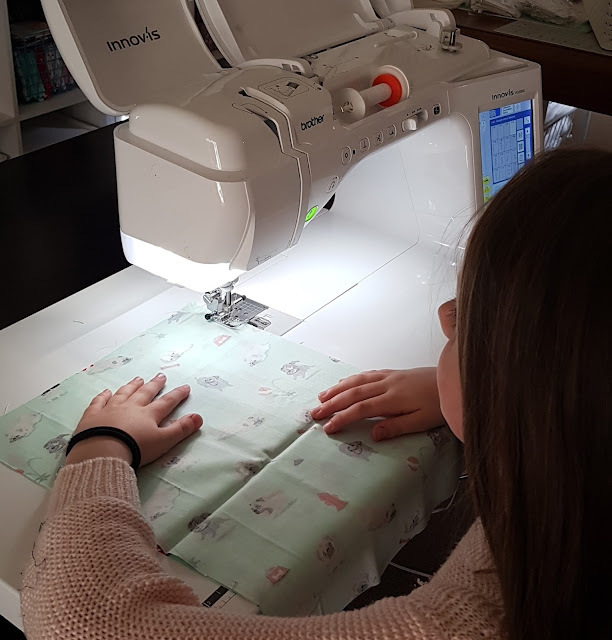 The instructions are so well written and beginner friendly that it made for a perfect afternoon sewing with both my girls, lots of laughter and giggles along the way and both girls having new shorts at the end of it all. I can recommend this book, especially if you have a budding garment sewer in your home like I do. It is beginner friendly (yes I know I have said this a couple of times but it really is), has a tools of the trade section, fabric selection guide, fabric care guide. Needle guide right through to stitch selection, how to correctly measure yourself and finishing techniques. Here are a couple of places Online that you can find the book if you are interested. These are NOT affiliated links so I am not receiving any payment if you do decide to purchase. I have added them for your convenience just incase. 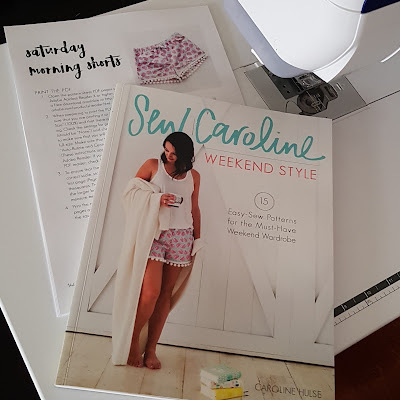 Please note that Fons and Porter did provide a complimentary copy of the book "Sew Caroline Weekend Style" for my review. All opinions expressed are my own. Thank you. Thanks for a great review. Such a wonderful school holidays activity. 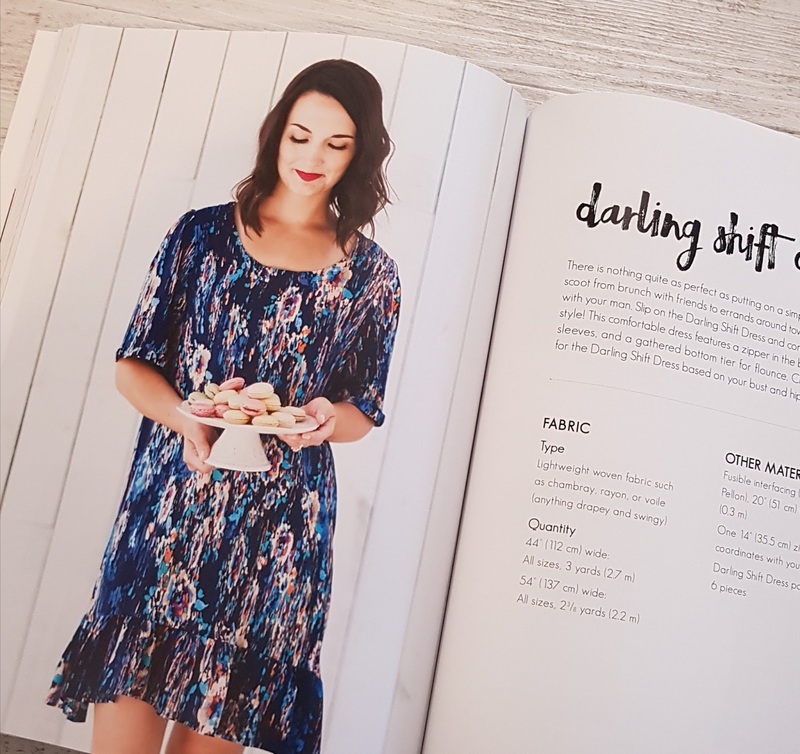 We are heading out next week to find fabric for Charlotte to make similar at school however I'm definitely going to look into this book as some of the other projects also look great - especially that dress.